Mr Davis said the usefulness of such assessments would be "near zero" because of the scale of change Brexit is likely to cause. He said the government had produced a "sectoral analysis" of different industries but not a "forecast" of what would happen when the UK leaves the EU. Labour called it a "shambles". The Liberal Democrats said impact assessments were urgently needed while the SNP called it an "ongoing farce". Mr Davis said a "very major contingency planning operation" was in place for Brexit. October 2016, asked what assessment the government had made of the impact of Brexit on the economy: "We currently have in place an assessment of 51 sectors of the economy. We are looking at those one by one, but the aim at the end is that this will inform the negotiating approach so that no one gets hurt." December 2016, to the Brexit Committee: "We are in the midst of carrying out about 57 sets of analyses, each of which has implications for individual parts of 85% of the economy… everything except sectors that are not affected by international trade." February 2017, in a statement to MPs: "We continue to analyse the impact of our exit across the breadth of the UK economy, covering more than 50 sectors - I think it was 58 at the last count - to shape our negotiating position." June 2017, on the Andrew Marr Show:"That data's being gathered, we've got 50, nearly 60 sector analyses already done, we've got planning work going on in the customs, we've got planning work going on 22 other issues which are critical, 127 all told." Downing Street told journalists: "We have been clear that the impact assessments don't exist. They're a specific thing in Whitehall terms. We think we have complied with the terms of the motion." At Wednesday morning's Brexit committee hearing, chairman Hilary Benn asked whether impact assessments had been carried out into various parts of the economy, listing the automotive, aerospace and financial sectors. "I think the answer's going to be no to all of them," Mr Davis responded. When Mr Benn suggested this was "strange", the minister said formal assessments were not needed to know that "regulatory hurdles" would have an impact, describing Brexit as a "paradigm change" of similar impact to the financial crash, which could not be predicted. "I am not a fan of economic models because they have all proven wrong," he said. David Davis has probably not done the Brexit cause a huge bundle of good this morning. First, his frank admission that no impact assessments have been completed will inevitably be seized on by critics to argue Team May simply haven't done the basic spadework. Third, Mr Davis probably didn't help his own reputation by telling the committee he had been handed two chapters of the 850 pages of analysis but hadn't read them. At times Mr Davis even chided the committee over the time they were taking. Fair enough the Brexit secretary had a cold - but at times he sounded thoroughly frazzled and cheesed off. Not a great look. There has been a long-running row over the government's Brexit studies and their publication. MPs have been pushing for the documents to be published, and on 1 November the Commons passed a motion to release "Brexit impact assessments" to the Brexit Committee of MPs. In response, the government said this motion "misunderstood" what the documents actually were, but has since provided an edited set of reports to the committee. Mr Davis told the MPs this represented "getting as close as we can to meeting what we took to be the intent of Parliament". A "quantitative economic forecast of outcome" does not exist, he said. "That is not there. We have not done that. What is there is the size of the industry, the employment and so on." Mr Davis also said there was no "systematic impact assessment". Media captionJeremy Corbyn asks: "Do they exist, or don’t they?" During PMQs, Prime Minister Theresa May repeated Mr Davis' line that "sectoral analysis", not "impact assessments" had been drawn up, adding that the government would not give a running commentary on the negotiations. 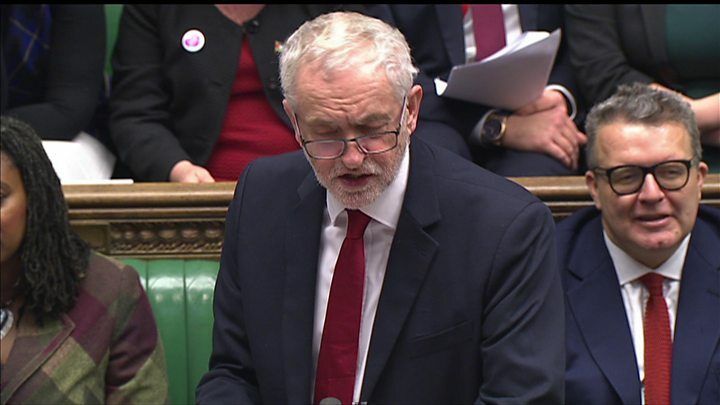 "This really is a shambles," Labour leader Jeremy Corbyn said. Later, Chancellor Philip Hammond was asked whether the Treasury had produced analysis of the potential economic impact of Brexit. He said his department had "modelled and analysed a whole range of potential alternative structures between the EU and the UK, potential alternative arrangements and agreements that might be made". 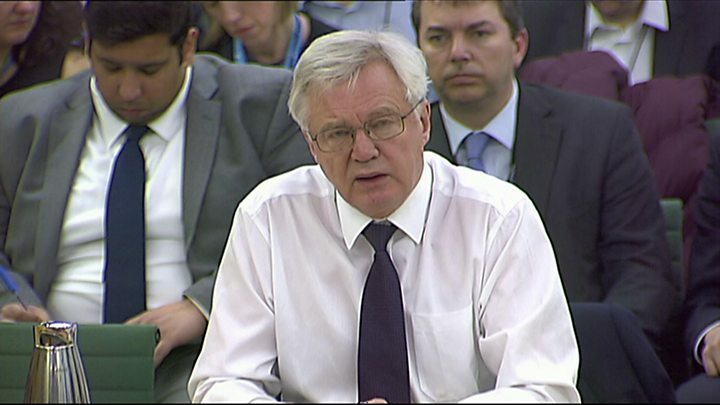 Appearing before the Treasury Select Committee, he suggested these could be made public when a Brexit deal has been agreed, but said to do so at this stage would be "deeply unhelpful to the negotiation".